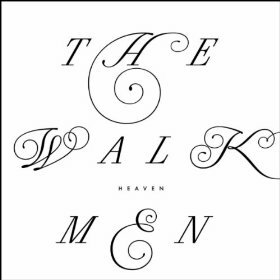 The Walkmen recently released an album entitled Heaven and while it may be the band’s most positive and optimistic record yet, somehow their version of heaven seems to have a heartbroken, Byronic edge to it even if there is a sense of redemption in the end. The album’s 13 tracks were recorded over the past year in Seattle with producer Phil Ek who recently worked with Fleet Foxes. (FF vocalist Robin Pecknold is featured on the album too.) While it’s not totally consistent in terms of quality, it’s still a solid album. The first half of the record is the strongest, led by the opener, “We Can’t Be Beat,” which is a terrific song and encompasses that distinctive Walkman lyricism and emotional tone. It’s followed up with “Love Is Luck” and the first single, “Heartbreaker,” both of which fit well into the band’s canon of passionate, forlorn, indie rock goodness. Some of the other notable tracks include the excellent micro-blues amuse bouche, “Jerry Jr.’s Tune,” and “Line By Line,” which has a great Doors’ “The End” vibe. The album should be a hit with fans but it seems mellower than past efforts and doesn’t have the rally cry ala “We’ve Been Had,” “The Rat,” and “Louisiana,” which the group has come to be known for. That being said, the boys still know how to create songs that stir the emotions and it’s great to hear the new material.